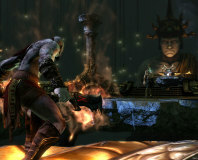 It's War in Ancient Greece, as Kratos leads the Titans into battle with the Gods of Mount Olympus. After such a long wait though, can Sony's continuing saga of Angry Greek Men really live up to expectation? We take a look to see if this is Sparta or Patrick. 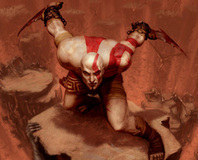 Jaffe: "Sony should sue Microsoft"
God of War creator David Jaffe has commented that Sony should consider suing Microsoft based on similarities between their games. 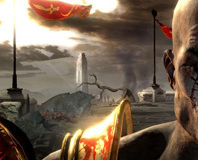 Is Visceral Games' bloody take on The Divine Comedy able to stand up in the face of all the raised eyebrows? Is it actually a fun game? 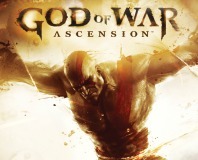 Or is it just a boring button-masher and God of War clone? 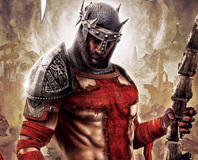 We've been playing the hell out of it, so check out Dante's Inferno review to find out! Sony has confirmed that the director of God of War, Cory Barlog, will shortly be leaving the company to work elsewhere though the series will continue.